Maybe it'll make friends with Silent Hills up there. Giving up hope is hard. Most folks would much rather irrationally cling to something's existence in perpetuity than see it destroyed forever. Heck, it's why people still believe D.B. Cooper is out there living the dream in some South American fishing village, despite evidence indicating that his story met an abrupt end when it hit the Earth's surface at a few hundred miles per hour. Because of this, the announcement that Furious 4's development has ceased is kind of a bummer, even though we kind of knew it all along. Revealed way back when at E3 2011, Furious 4 was originally a Brothers in Arms joint that received a... mixed reception. Its tone was decidedly different than traditional BiA entries, as evidenced by a reveal trailer that included both miniguns and chainsaws. After its reveal, news would occasionally trickle out detailing its evolution or rebranding, but nothing was especially solid. 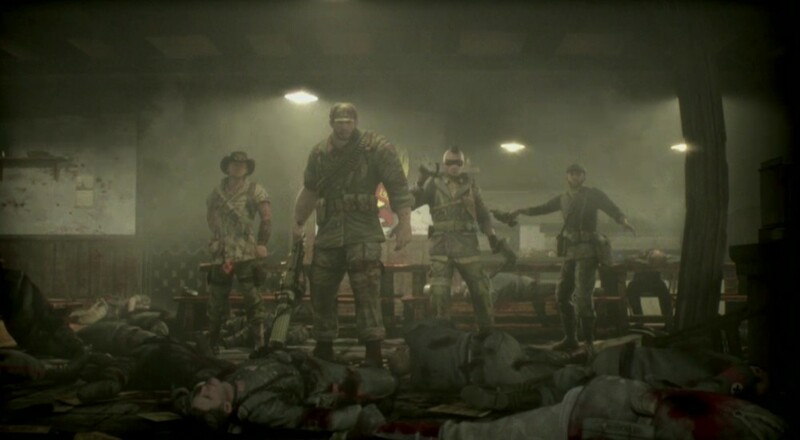 What we did know was that it was a four player co-op shooter set in WW2. Players would take on the roles of the Furious 4, an Inglorious Basterds-esque super squad that dispatched enemies of freedom via a mixture of subtlety and comical hyper-violence. Naturally, where one idea dies, another can grow in its place. According to Gearbox's Randy Pitchford, whatever progress was made on Furious 4 eventually made its way into the studio's upcoming release, Battleborn. In fact, the new game features a (somehow) only slightly more caricaturized version of former F4 character Montana. To the few remaining souls holding out hope for Furious 4's release, take solace knowing there wasn't a Playable Teaser out there to get you "mad hyped" for the full product. At least in this case, the ideas themselves still remain. Page created in 0.3591 seconds.